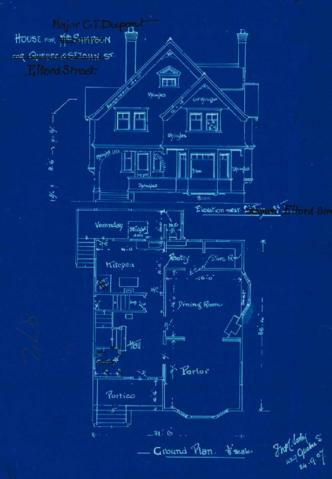 3 architectural drawings : blueprint ; 36 x 27 cm. Two-storey house with basement. Original title: House for Mrs. Simpson cor. Quebec & St John St.